The Tonebug Distortion is a phenomenal-sounding pedal that delivers gobs of rich, tubey-sounding distortion you'll recognise instantly as a fundamental ingredient of classic guitar rock. And it couldn't be easier to use. A simple Gain knob lets you choose how dirty you want to get, while a Tone knob lets you tune the timbre of your distortion -- from a muted bluesy crunch to a searing wail that'll slice through anything in its way. Like T-Rex's ToneBug Reverb and Overdrive pedals, the ToneBug Distortion delivers the same legendary T-Rex tone that's made their top-end products a fixture on the pedal boards of guitar greats around the world (see the T-Rex website for recent T-Rex sightings). That, combined with cool retro design and rugged construction, makes the ToneBug Distortion a pedal you just won't want to play without. Use the GAIN knob to set the amount of distortion (turn it up for a dirtier sound). 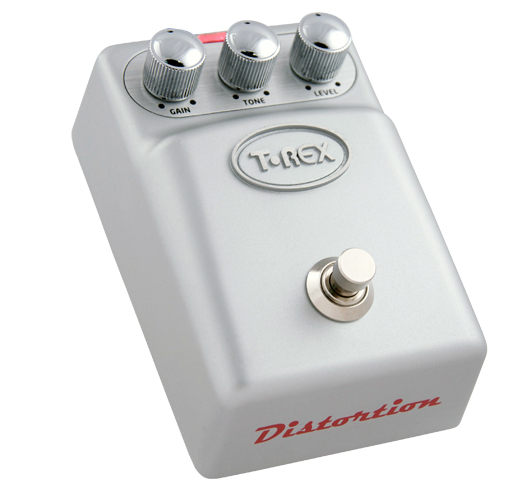 Use the TONE knob to "tune" your distortion to just the right timbre. Set the overall volume of your distorted sound with the LEVEL knob.